Categories: Retail Business Intelligence, Retail news | Tags: inventory, inventory management, minimise inventory, online retailing | Permalink. Categories: Convenience retail, Convenience retailing, Forecourt News, Gas Service Station News, Retail Business Intelligence, Retail news | Tags: convenience store, covenience formats, multinational retailers, petroleum, petroleum retail, retail, retail diversification, retailer, vertically integrated oil company | Permalink. Service Station Suite provides platform for combining mobile payment and loyalty solution. Wincor Nixdorf Inc., a leading provider of IT solutions and services to retailers and retail banks, is rolling out the Wincor Wallet for mobile cashless payments in all retail sales channels, including gas stations. It turns the smart-phone into a wallet. The Wincor Wallet is integrated into the TP Application Suite, the software platform for retail companies, and in the Service Station Suite (NAMOS) for fuel station companies. Whether in stationary retail, web shops or mobile stores, the Wincor Wallet can be accessed for mobile payment by all standard smart-phones through the use of QR codes or near-field communication (NFC) technology. The Wincor Nixdorf’s Payment Gateway server operating in the background enables the solution. In addition to processing traditional, card-based payments, this also allows modern Wallet transactions to be processed in an IT environment certified by the Payment Card Industry (PCI), which ensures the security of the cashless transactions. The Wincor Wallet provides a platform for combining different mobile payment and loyalty solutions such as mobile use of debit or credit cards, mobile coupons or redeeming mobile vouchers at the checkout via smart-phone, the company said. “Retailers and service station companies thus have a platform that they can adapt individually to offer their customers optimum payment convenience and set themselves apart from the competition,” said Jurgen Manske, senior solution manager of retail at Wincor Nixdorf. 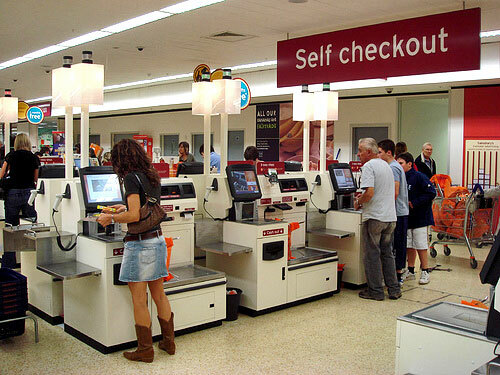 Austin, Texas-based Wincor Nixdorf USA will introduce this checkout-independent payment solution at the upcoming National Retail Federation (NRF) Annual Convention & Expo in New York City from Jan. 13-16, 2013. Categories: Convenience retail, Convenience retailing, Forecourt News, Gas Service Station News, Retail Business Intelligence, Retail systems, Retail technology | Tags: checkout-independet payment solution, gas station, gas stations, mobile cashless payments, mobile payment, NAMOS, retail banks, retailers, Service Station Suite, TP Application Suite, Wincor Nixdorf, Wincor Wallet | Permalink. Mobile-payment service Square has launched a new way to pay for products with its Square Wallet app: gift cards. Jack Dorsey, co-founder and chairman of Twitter and founder and chief executive officer of Square. Here’s how it works: Any Square user can send someone a “gift card” for a store that’s personalized via Square’s mobile Wallet application. Upon receiving the gift card, it’s added to a user’s Square Wallet. Or the recipient can opt for a digital QR code — a kind of special barcode — to pay for something like a cup of coffee at the participating store. A major purpose behind the new gift cards component is to help users discover new stores, said Square CEO Jack Dorsey. “If I really like a place and I’m a good friend of yours, I can tell you, but if I give you a gift card you’re really going to try it out,” he said. Square Wallet is a mobile application that essentially lets users pay for products at a store using Square without taking their wallet out. The app notifies registers that the shopper is in the store. Adding gift cards was an important way to continue to promote its growth through word-of-mouth, Dorsey said. WSJ: Let’s start with the what — gift cards? Jack Dorsey: Square has always been about giving more local businesses and people with intent to start something an easy way to get started immediately. We started with the card reader, and built a full point-of-sale, a wallet, and the reason is because it’s traditionally been extremely difficult to even start accepting credit cards. My parents both were entrepreneurs, my dad started a pizza restaurant at 19, and both had to deal with all these issues in addition to accepting payments. Any payment device that comes over the counter, a merchant should be able to accept it, and they should be able to accept more and more options. So we launched gift cards. You go to a local place and they’ll have hand-written gift certificates or are issuing plastic cards, which is extremely expensive. They usually get charged 10% to 15% to issue those cards, so we’re doing it the same as a credit card, 2.75%. Anyone can buy it from their phone, it literally takes less than 30 seconds to buy a gift and send it to a family member or friend. We think all of this just brings more commerce to the world, but it brings new options to merchants. Just even getting started is a nightmare. The same was true of credit cards — people were paying 3% to upwards of 8% to accept cards, and Square brought it down to 2.75%. Free reader, free software. You personalize it with an envelope, a message. You can redeem it in the wallet, you can redeem it via Passbook or print out a QR code and show it to the merchant. It degrades gracefully to whatever device someone has. WSJ: Why gift cards? How does that help your customers? JD: The biggest problem merchants have is being remembered and being discovered, so it’s another tool for discovery. If I really like a place and I’m a good friend of yours, I can tell you, but if I give you a gift card you’re really going to try it out. There’s an experience there waiting for you. You don’t have to do much. It’s a tool for merchants to make sure they have more and more people they’re aware of. It also starts getting into a concept of more remote commerce. People from their couch can send these experiences, can send these gifts, and they don’t need to pick out different things. They can just go have their own experience. WSJ: Is there an incentive for merchants to push this to their customers? JD: It’s mainly around discovery. It’s been in our top five feature requests for merchants. In the past they’ve done gift certificates, they have all these different systems. This just makes it easy. WSJ: It works with Starbucks SBUX -1.28% too, right? JD: I just bought one this morning, there’s 7,000 places you can use this. Both teams have worked together, it’s some of the best collaboration we’ve seen. Without a hitch, the scale has been amazing, in three months. Originally, Starbucks came to us and asked if they could sign up for Square. The other thing is, they’re one of the most innovative about payments and technology in retail. Also, they have great values and purpose, so it’s a very easy partnership. That made things move very quickly. WSJ: How big is Square now? JD: We have 450 employees now. WSJ: How about expansion. Do you want to rely on word-of-mouth? Any plans to roll out a salesforce? JD: We’ve been fortunate with the organic growth. We think that’ll continue. It’s not about building a good base, it’s about really connecting you to the wallet and adding things like gift cards and rewards that will link to the wallet. It’s that span on the other side of the counter that makes it magic. That’s what gets people to really invest more. If you’re just getting the point of sale, it doesn’t necessarily get you more customers, and that’s what merchants want. If you don’t have a new experience coming in, it doesn’t translate to massive growth we believe. It’s why we decided not to focus just on building a credit card terminal. We focused on doing the entire thing, that’s what moves the needle. It might take a little longer than people on the street, but that word-of-mouth spread from people that love it will be faster than any sales force. WSJ: What about data — Square has a lot of it on the buyer and seller side. What are you doing with it? JD: The merchant analytics is a big part of why people choose Square in the first place. There’s a rich dashboard that identifies the busiest hours and days. There’s an example of a company in St. Louis who realized tracking their hours with Square, that closing at 4 p.m. instead of 6 p.m. was cutting off 20% of their business. It’s really simple stuff merchants don’t have access to. That’s on the seller side, but you can imagine equally compelling data on the consumer side. Obviously you can imagine introductions. We have all that data, we just haven’t surfaced it. WSJ: Any plans to use it? Sell it as an extra product to merchants? JD: We’ve explored a lot of those models. I think there might be something there. We’ve definitely thought a lot about it. WSJ: Square Wallet will recommend a lot of places to shop. Is that a curated experience? JD: Right now, if you do the work to put up a really beautiful image, we’ll feature you. We’re looking to make sure they have this beautiful image and then edit it up. More and more we’ll bake in algorithms to do it automatically. We’ve thought a lot about the directory as well, introductions, and ways to drive people to certain locations. WSJ: Back to gift cards — how did the conversation with Chase go? JD: They love it. The banks generally love any model because all they care about at the end of the day is bank accounts and deposits. What’s really interesting for them is merchants using Chase for their banking services. Visa and MasterCard also MA +0.73% love it because people are using credit cards to buy these gift cards. They’re using their networks. There’s no ill will — the Visa and MasterCard gift cards are interesting — but we wanted to make something that’s really personal. We can buy a Visa gift card and use it at any merchant, but it’s more saying, “I just don’t know what to give you.” We wanted to be a lot more thoughtful and give merchants a tool to promote their business. A dedicated gift card is a way to do that. The more anonymous it is, the more systematic it feels. This is a product where the experience really matters. We put a lot of extra work into the animations, into how the envelopes are received and open. We’re pretty proud of how it works. Categories: Retail Business Intelligence, Retail news, Retail systems, Retail technology | Tags: mobile payment service, Square, Square Wallet app, Square Wallet app: gift cards | Permalink. Both political and economic uncertainty are at their highest level for years, and the situation is expected to continue with flow on effects for consumers who in view of uncertain times may well exercise caution when making purchasing decisions. The expansion of the middle classes in developing markets has been one of the key outcomes of economic growth, as huge swathes of these populations move out of poverty and form an increasingly demanding and sophisticated consumer base. One of the key outcomes of the recession for advanced economies is the lack of decent prospects for young people, who face high unemployment, tuition fees, rising living costs, a lack of affordable housing and the burden of supporting ageing populations in the future. Inequality has been in evidence for a number of years, but is increasingly becoming a focus of social unrest and media interest. Reasons for inequality include changes in employment patterns, disproportionate wage increases, technological progress, urbanisation, government policies and demographic factors. Increasingly erratic weather patterns and rising sea levels will be one of the largest threats to populations over the next five years and beyond. Most notably, droughts and floods will continue to cause havoc with food crops, affecting food prices in the years to come. A combination of low birth rates and longer life expectancies is driving the ageing process. Ageing populations will impact future economic growth prospects, due to reduced labour forces and lower savings and investment rates. At the same time, age-related public expenditure is projected to increase strongly. Although urbanisation is another long-term trend, its pace has speeded up noticeably in recent years and city growth has reached unprecedented levels in emerging markets. The exodus from countryside to cities is largely driven by a desire for economic empowerment. The global shift towards urban living is shaping consumer markets and demand. As the world becomes smaller, while travel gets cheaper and restrictions more relaxed, more people are choosing to live, study or work abroad. Continued migration has a significant impact on economies, marketers and consumers alike. Greater ethnic diversity offers marketers a wealth of opportunities. The internet is increasingly being accessed via smartphones and tablets, as consumers seek convenience and mobility. Almost one third of global on-line consumers now have internet access on their mobile phones. Social media sites, such as Facebook and Twitter, are changing the way people interact with one another. A successful social media strategy will be a top priority for companies globally. China’s overseas investments were previously concentrated on developing countries and a handful of resource-rich developed economies, such as Australia and Canada, but since 2008 the focus of Chinese investors has begun to shift to North America and Europe. Several Chinese brands have entered the global arena and are looking to challenge the positions of established international brands. Experts expect Chinese companies’ investments overseas to see explosive growth in the next decade. Categories: Convenience retail, Convenience retailing, General news, Hospitality News, Retail Business Intelligence, Retail news | Tags: consumer markets, consumer markets growth, macro trends consumer markets | Permalink.